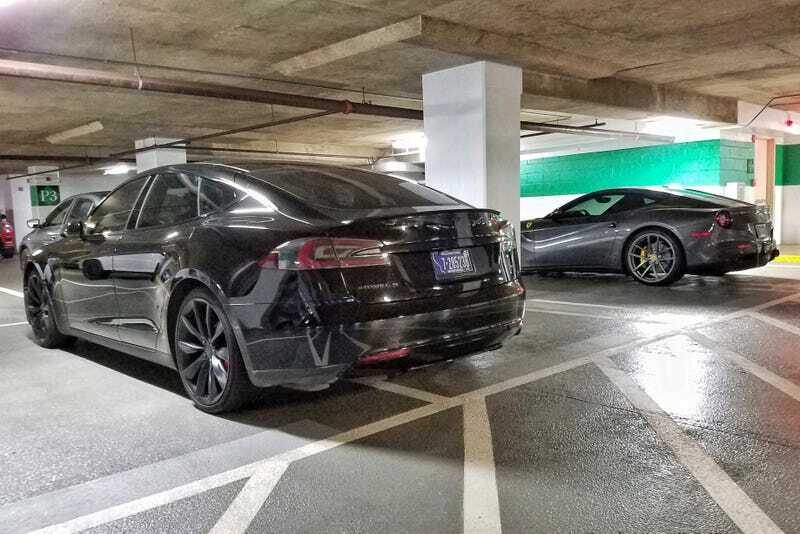 Yes, it’s a Tesla, in the same company’s reserved spaces in the garage as those Ferraris with Montana plates (including the F12 you see here) and the Range Rover SVRs. The white SVR has Virginia tags, but I’m not sure about the blue one. Yes I know what company this is. No I’m not telling you.